When you show the multitasking bar, a lot of App icons may appear. Most of these Apps are in a suspended state which means the App is not closed but it is held in memory (although not necessarily using CPU or processing time). 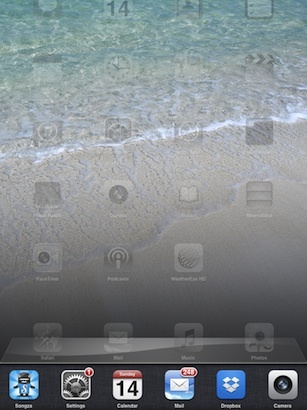 There are other Apps such as Skype, Songza or the iOS Music App that can run in background mode. For example you could be listening to music and browsing the web or on a Skype call and taking notes. Sometimes an App does not behave properly or we feel the iPad is a little bit slow. In some of these cases closing a recently used App could be a good idea to free up resources or restart the App from scratch. Today, I’m going to show you how to close a recently used App. 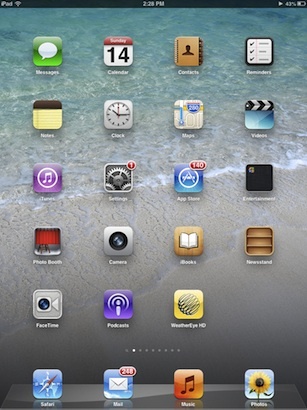 From your iPad Home Screen double tap on the Home button or swipe up with four fingers. Have a look at the video on iPad Gestures – Multitasking if you need a refresher on how to do this. The multitasking bar appears and displays the icons of all the recently used Apps. Tap and hold on the icon of the App that you would like to close. The icons will start wiggling and will display a red circle with a minus sign. Tap on the red circle with the minus sign. This will close the App.You can close other Apps in a similar way. Would you like to be notified when I release new posts? Sign up to my free newsletter. I promise you only good content and no spam! !